When planning your Facebook Marketing, keep in mind that your target audience is in a “Social Space” – they didn’t go onto Facebook to “buy our stuff”. So if we can take a step back and create engaging content that attracts and delights our audience -then everyone will be happy. Everyone loves competitions, quizzes, Prize draws on Facebook, so if we can combine the engagement of competitions with the laser targeting of Facebook advertising we can get our target audiences attention as well as their emails! Unless you’re an expert in coding we’ve found it best to use one of the Facebook Marketing app providers. We’ve been using Woobox for a few years now and with 3 million users you’ll be in good company. The app does all the technical bits, whilst we focus on the Marketing ideas. 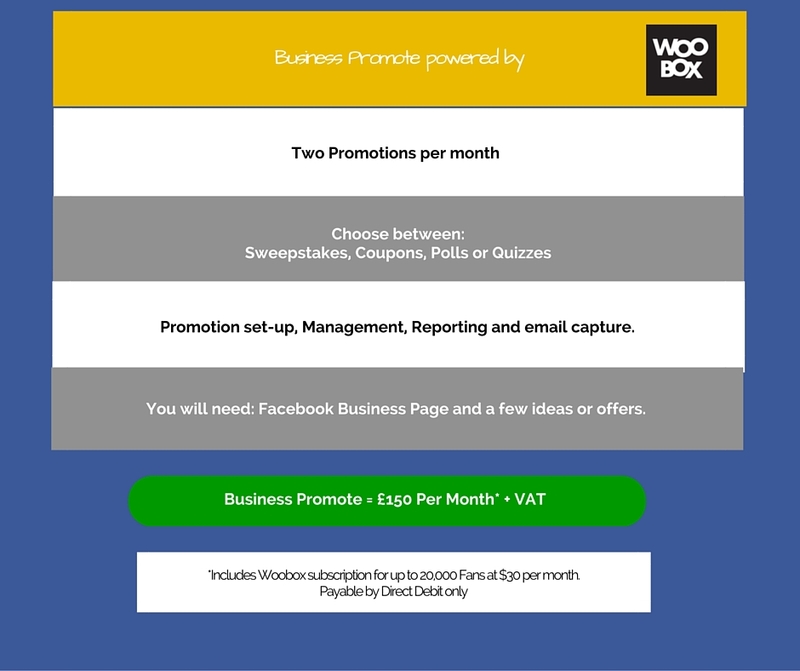 There are over 20 Promotional apps on WooBox –the four highlighted here are some of the most popular. Polls – Research your market in a fun way. SPREAD YOUR MESSAGE – The apps are designed to give participants a reason to share and get friends involved using referral incentives like bonus entries, better coupons, votes and more. KEEP FANS HAPPY – Your fans want promotions. Surveys show it’s one of the top reasons they Follow you, Like you, and subscribe to your newsletters. OWN YOUR FANBASE – Turn your network of anonymous Likes and Followers into names and email addresses you own. Owning your fan information allows you to control who you reach and how often you reach them.